To make their weddings worth remembering people often search for the wedding quotes. At one point in life or another everyone eagerly search for perfect wedding quotes .These quotes are appropriate words to express their heart felt emotions. These Wedding Quotes touch our deepest emotions as these are able to marvelously describe the spirit of wedding in a simple yet effective manner. 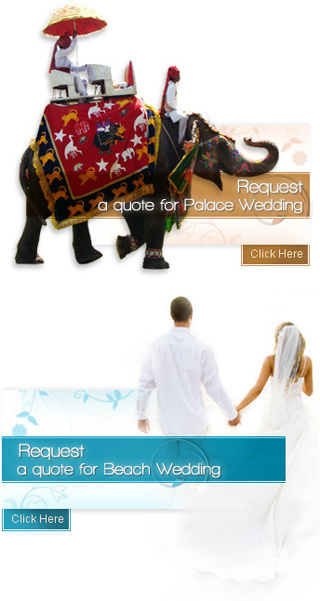 Wedding quotes are used to express feelings about the newly wed couple and about the whole event all together. The relatives or the friends of the bride or groom give speech about the wedding and the forthcoming life of the newly weds. One can give the speech in a very impressive manner by using various quotes in the speech. The speeches are generally given after the wedding ceremony in order to guide the newly married couple, to warn them about the forthcoming hurdles. But everything is done in a funny manner. The wedding quotes are helpful for the elders to put their feelings forward to the newly wed couple. Depending on the person who is giving the speech, the types of wedding quotes change. There are funny wedding quotes, sincere quotes and some famous wedding quotes. The funny quotes are generally used in a speech in order to tease the couple about their forthcoming married life. The close friends of the couple usually use the funny quotes in their speech. For example, the funny quotes like- "the woman cries before the wedding, while the man afterward" are used in the speech. Some sincere wedding quotes like "Love does not consist of gazing at each other, but looking in the same direction", will surely make the couple fall in love with each other, once again. The quotes like "two souls with a single thought" add some pleasant moments in the wedding celebration. There is no specific rule for which quotes is to be used at what moment. The wedding quotes are only meant to enhance the joyous element of a wedding ceremony. If the atmosphere in the wedding hall is getting tense due to some reason like the bride is crying while leaving her parent's house, a funny quote can bring a smile back to her face. The elders with a sincere quote puts the newly weds to a great ease and comfort . Hence adding a wedding quote is always a great idea.